Back to our regularly scheduled programming next week. Catch you then! 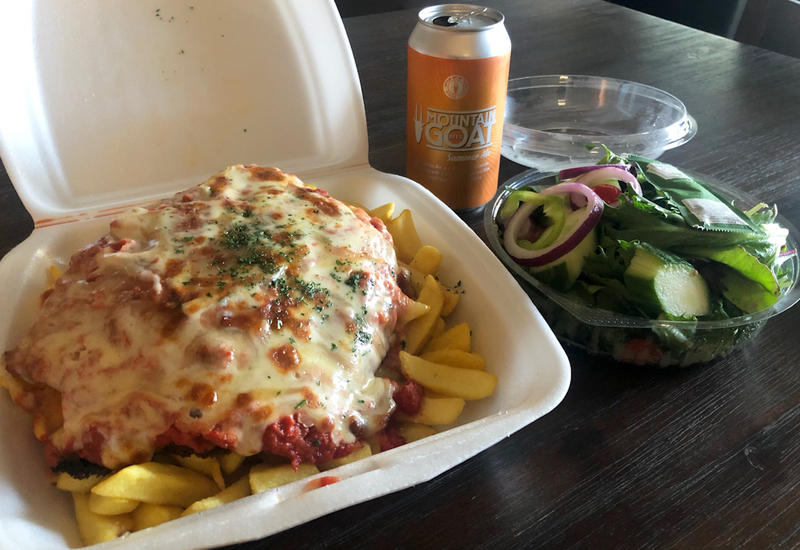 For the newcomers, “Crossing the Road” is our attempt to sample some of the lesser known home delivered chicken parmas, that wouldn’t normally get a chance to shine if we only stuck to pubs and dine-in restaurants. Eat Pizza is a take away pizza franchise that I never really gave much time. Their whole shtick of “Healthy Pizza” never really sat right with me, feeling like more of an oxymoron than anything - And who wants to eat an oxymoronic pizza? Nobody, that’s who. $15 for a parma sounded like a fine deal to me! The tartare sauce and lemon threw me a little but it turns out that was just a typo - I’m guessing they just CTRL+C and CTRL+V’ed their description for a plain chicken schnitzel when making the listing and the extras went across as well. Order was placed and about 35 minutes later there was a ring at my doorbell and a parma in my hand. 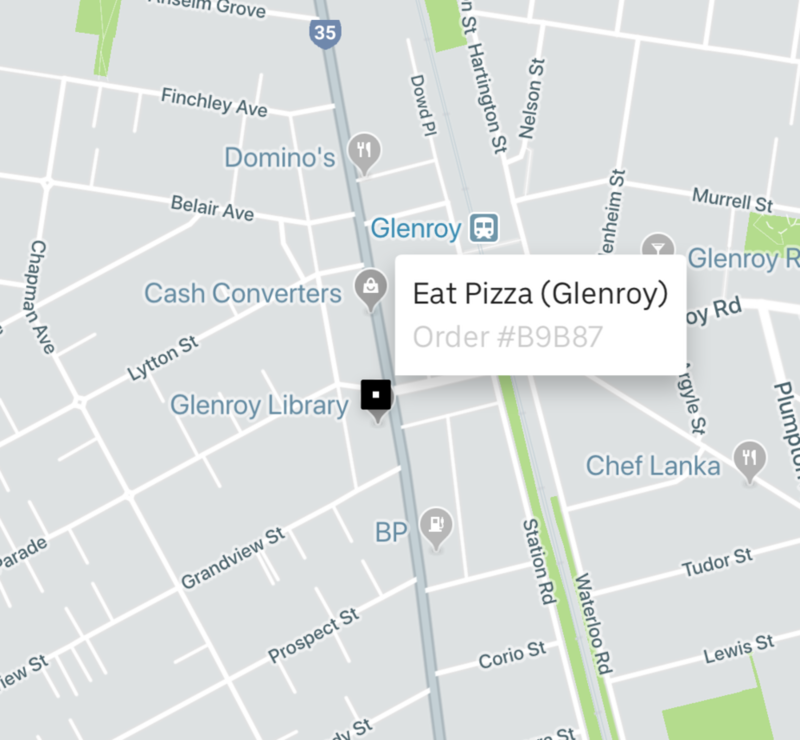 I have issues with Uber Eats, its not the best service by a long shot, but in this particular case I can’t really fault them. Food was picked up and dropped off in a timely manner, with no unexpected detours along the way. Parma and Salad from Eat Pizza, beer supplied by my fridge. My first thought on unpacking my Uber Eats bag was “holy crap this is a lot of food”. The schnitzel was downright massive and stacked high on a gargantuan serving of chips with an equally massive garden salad in a seperate container to the side. The massive stack of chips had to be saved, so before proceeding I did my best to plate up the parma. I’d normally plate up the chips as well but there were just so many of them that I decided they were fine in the styrofoam they came in. With everything plated and photographed we tucked in. The schnitzel was huge in circumference and thick enough, I’d say about a pinky finger’s width of chicken. The crumbs padded it out a little, but it’s not like they were trying to smuggle a credit card or anything. After a 15 or so minute drive in a styrofoam box the schnitzel had gone a little soggy but had managed to keep its heat surprisingly well. The cheese was flavoursome and well cooked, the napoli was rich albeit quite tomato-pastey (to be honest I think they just used the tomato sauce they would normally use on pizzas on the parma). No ham on this one, and I am just realising now that with Eat Pizza it now makes four consecutive weeks of ham-less parmas (The Peppertree, Houdini’s and Albion Pizza before this one). What is happening Melbourne?! Bring on the pork! Like I said, the parma from Eat Pizza came with a lot of chips. To be honest I got through about half of them before throwing in the towel. As far as chips go they were pretty standard fish & chip shop style fare. Decently seasoned and only a little bit soggy after their trip in the styrofoam hot box. The garden salad was pretty standard, store bought stuff, right down to the sachet of Heinz dressing thrown in on top. It was a little dry but to be honest I appreciated the effort of the seperate containers of both salad and dressing to be constructed, it felt almost like putting together your meal kit on a long haul plane flight. We don’t give a final score for Crossing the Road parmas as they are treated more as a “special edition” than anything else. 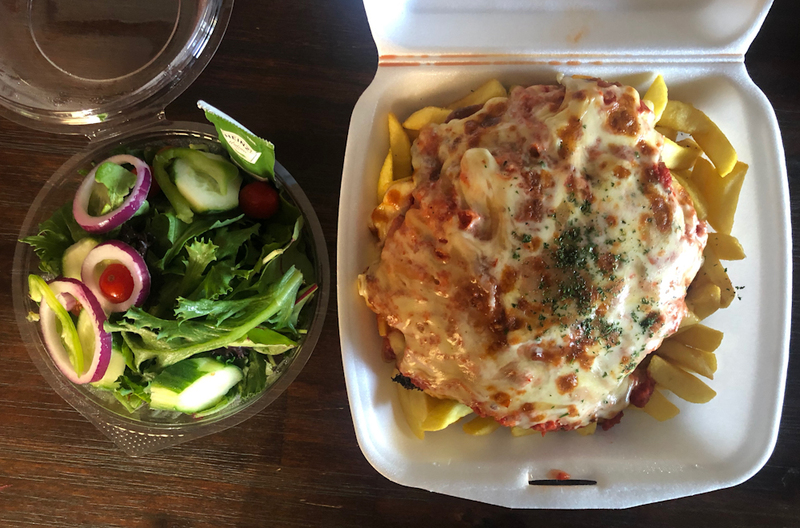 It wouldn’t be fair to compare a delivery parma to one from a sit down restaurant - However if we did score the parma from Eat Pizza its Value score would be through the roof. Everything was huge, and for just $15 this is one massive feed that I think anyone would struggle to get through. The Eat Pizza parma is definitely one of quantity over quality - Everything was good, but nothing was great, yet if you feel like a no-nonsense meal that could almost feed two people for just $15 without even needing to get off the couch, then this is definitely one to consider!